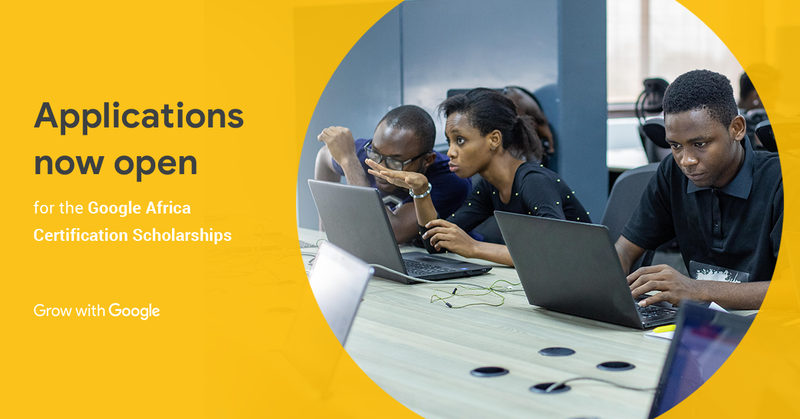 Building upon our pledge to provide mobile developer training to 100,000 Africans to develop world class apps, today we are pleased to announce the next round of Google Africa Certifications Scholarships aimed at helping developers become certified on Google’s Android, Web and Cloud technologies. This year, we are offering 30,000 additional scholarship opportunities and 1,000 grants for the Google Associate Android, Mobile Web, and Associate Cloud Engineer certifications. The program will be delivered by our partners, Pluralsight and Andela, through an intensive learning curriculum designed to prepare motivated learners for entry-level and intermediate roles as software developers in these fields. Interested students can learn more about the Google Africa Certifications Scholarships and apply here. Africa is on track to have the largest working-age population of 1.1 billion by 2034. Today’s announcement is about preparing the youth for the jobs of tomorrow by equipping them with the right developer skills. Google’s certifications are developed around a job-task analysis that test learners for skills employers expect developers to have in these domains. Our continued initiatives focused on digital skills training, education and economic opportunity, and support for African startups and developers, demonstrate our commitment to helping advance a healthy and vibrant developer ecosystem. By providing support for training and certifications we will help bridge the unemployment gap on the continent through increasing the number of employable software developers. We have already seen evidence that becoming certified can make a meaningful difference to developers and employers. Adaobi Frank - a graduate of the Associate Android Developer certification - got a better job that paid her 10X her previous salary after completing her certification. Her interview was quicker as her employer was convinced that she was great for the role after she mentioned that she was certified. Now, she's got a job that helps provide for her family. Through our efforts this year, we want to help many more developers like Adaobi and support the growth of startups and technology companies throughout Africa. Please click here to apply for the scholarship. This entry was posted in Google Africa Blog and tagged Africa on April 15, 2019 by Google Africa Blog.